Three Australian brothers Stephen, Peter and Matt Hill emerged out of Melbourne’s underground skateboard scene of the late 1970s with a passion for skateboarding that they channelled into a skateboard import business. From their involvement with skateboarding and the streetwear fashion explosion of the 1990s and the rise of surf-influenced apparel, the Hill Brothers and their crew created and launched Globe. 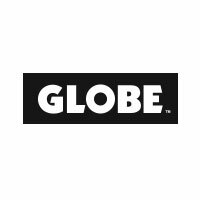 Today, the same crew of skaters, surfers and snowboarders that started the Globe brand has grown to an international network of designers and riders that are united by board sports, street culture, design and film.